It was 50 years ago, that the Beatles were first introduced to screaming fans in the Ed Sullivan Theater in the USA. They "stormed the battlements" as it were, and soon became in international sensation that still continues today. Only Sir Paul McCartney and Ringo Starr survive, but they just played together at the Grammy Awards on January 26th. 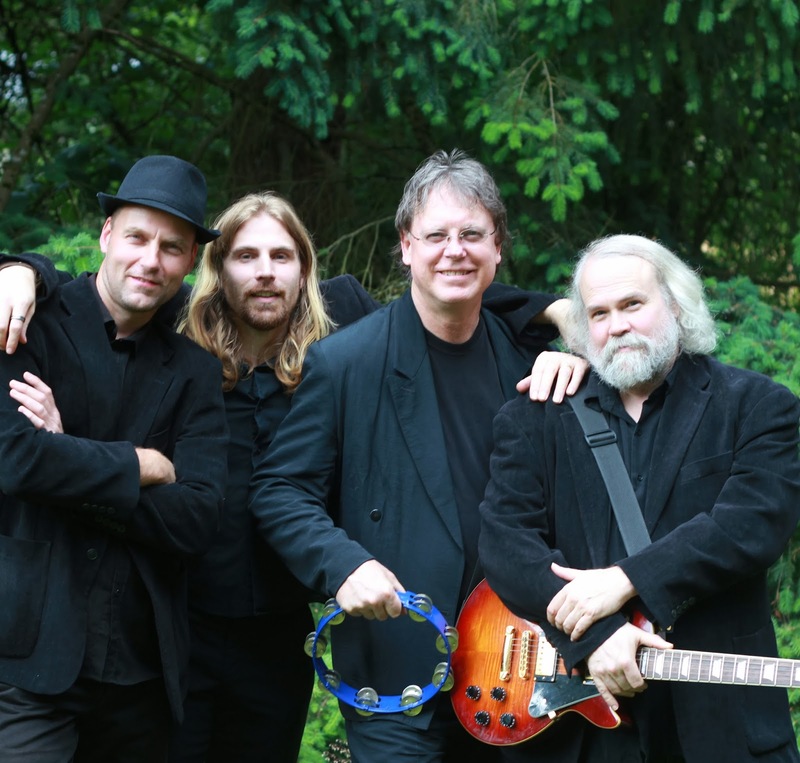 We are so fortunate that here, in the Rose City, we have our very own Classic Rock and Beatles Tribute Band, Blackbird. They play all of their famous hits, plus other classic rock favorites that are so much fun to dance to. They are very popular for weddings, corporate parties, festivals, and anywhere you need a polished, experienced band to help you dance the night away. Contact Nancy soon for availability and Quote. We are pleased to announce that we filmed our new company video yesterday afternoon. It went well. It should be edited, and ready to post on our website within 30 days. When it is ready to go, we will confirm on this blog. We hope it will give you a better look into how we conduct our business, and the reasons why we hope you will call us first when you are starting your search for special music. We can save you time and money thanks to our connections and expertise. We are proud to say "we only work with artists that make us look good", so you can trust we are recommending the very best-qualified musicians we know of. We'd like to thank Deb Rodney of Flying Point Moving Pictures for shooting the video, debrodney@gmail.com, and Joy-Marie Peterson, Make-Up Artist, www.joiedevie.com. Contact Nancy soon for a quote on your next event. We are producing the first-ever video about our business, and how we can help you find your special music easier, more cost-effective and fun! Many people don't understand how a booking agency works, so don't call for fear they will have to pay more for the agency commission. We hope to answer all of those questions. By the way, you don't have to pay more! For one thing, we save you time and money thanks to our connections and expertise. You tell us exactly what your vision is for your wedding or special event, and we do our best to help you make it all come true, and almost always, within your budget. What if your favorite band is already booked, or is out of your price range?A reputable agency will have several fresh ideas that can solve these dilemmas. What if you don't have a clue where to start looking, and just don't have the luxury of lots of free time to search. Planning a wedding can be a daunting job! Our video should be posted around February 1st. We hope you'll look for it, and then contact us with your questions, and entertainment needs. We look forward to working with you! We sell "Peace of Mind".